West Coast Racers is a roller coaster now under construction at Six Flags Magic Mountain. A Premier Rides launched coaster that will send riders on a two-lap race around a Mobius-strip-style track. 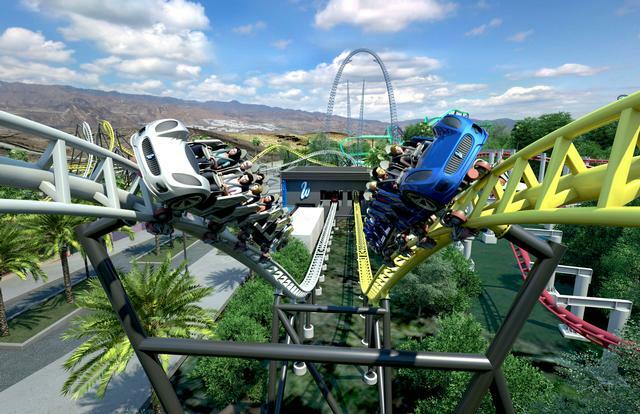 Along the way, riders will experience four launches — hitting a top speed of 55 miles per hour — three zero G rolls and a zero G stall for four total inversions, and 30 total interactions with the other train, including the "high five" familiar to Magic Mountain fans from Twisted Colossus.